Most of us in the Portland area will survive a Cascadia Subduction Zone earthquake. However, our infrastructure will be a mess. That means we need to secure our homes as best we can, practice earthquake drills so we can minimize injuries during the shaking, and then plan for how we will deal with the aftermath. We will all have a different role, so think carefully about who you are and how you will respond. Then plan accordingly. Practice the drop/cover/hold earthquake drill, secure items in your home, strap your foundation (if you can), learn how to turn off utilities, make plans (and backup plans) for what you will do after an earthquake, and make kits. What should your kits include? Water, water, water. It will be the most scarce and most precious resource after an earthquake. What else you include in your kit depends on who you are (your goals, skills, needs, and resources). There is no one list that’s right for everyone. We recommend the PREPOregon and PBEM websites for lists that will help you get started with personal preparedness. Here’s what we have learned from past disasters – people who know their neighbors are far more resilient than those who don’t. Get to know the people around you, and talk to them about earthquake preparedness. Or just get to know them as people! Start by talking to the people on your block, and then expand. Identify who will need your help the most (people with kids, people with physical needs, etc.) and reach out to see how you can help them prepare. When talking to neighbors about earthquake preparedness, please emphasize the importance of water. You don’t want to be the only one on the block who has it. Helping your neighbors prepare is a huge part of making your community more resilient to disasters. But you might need to lay some groundwork before you can convince them that preparing is worthwhile. 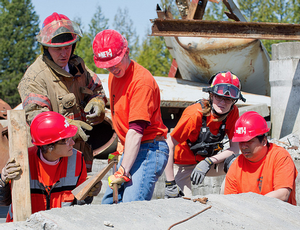 NET members may be available to give earthquake preparedness presentations for community groups. If you can coordinate a meeting for your friends, neighbors, religious organization, school, etc, contact us to request a presentation. We’ll do our best to find a NET member from your neighborhood to lead the presentation. If we’re unable, a NET from another neighborhood may be able to do it. 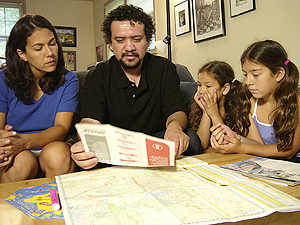 Once you’ve gotten to know a few of your neighbors, invite them to a meeting to do the Map Your Neighborhood program. This will help you create a plan for helping each other after a disaster. It will help you identify your neighbors’ resources and special needs, as well as map out any resources and hazards in the neighborhood. After a major earthquake, modern communication devices will likely fail us. Cell networks will be damaged or jammed, landlines will be down, and your internet won’t be functioning. 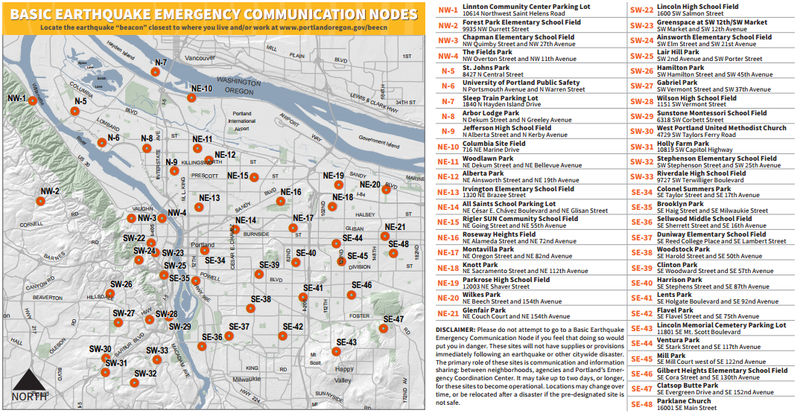 Basic Earthquake Emergency Communication Nodes (BEECNs) will be set up throughout the city within 24-48 hours of a major quake. Each BEECN will be a place to get information and request emergency assistance. BEECNs will be staffed by neighborhood volunteers with access to two-way radios. Know how to locate the BEECN sites nearest your home, work, and anywhere else you spend a lot of time. Once you’ve started the process of preparing yourself, your family, and the neighbors on your block, you can begin to think about the community around you. 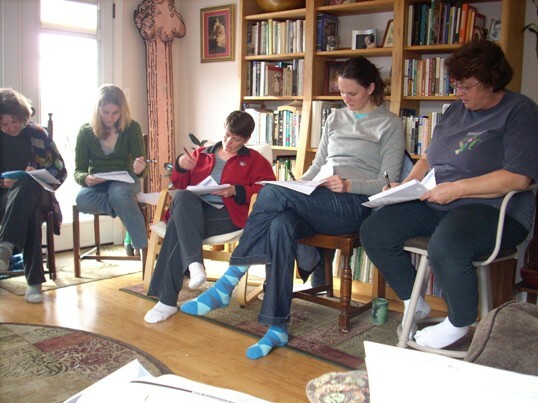 There are a number of ways to get training, volunteer, and stay connected. After an earthquake, most forms of modern communication will be inaccessible for a while. But two-way radio will still function. 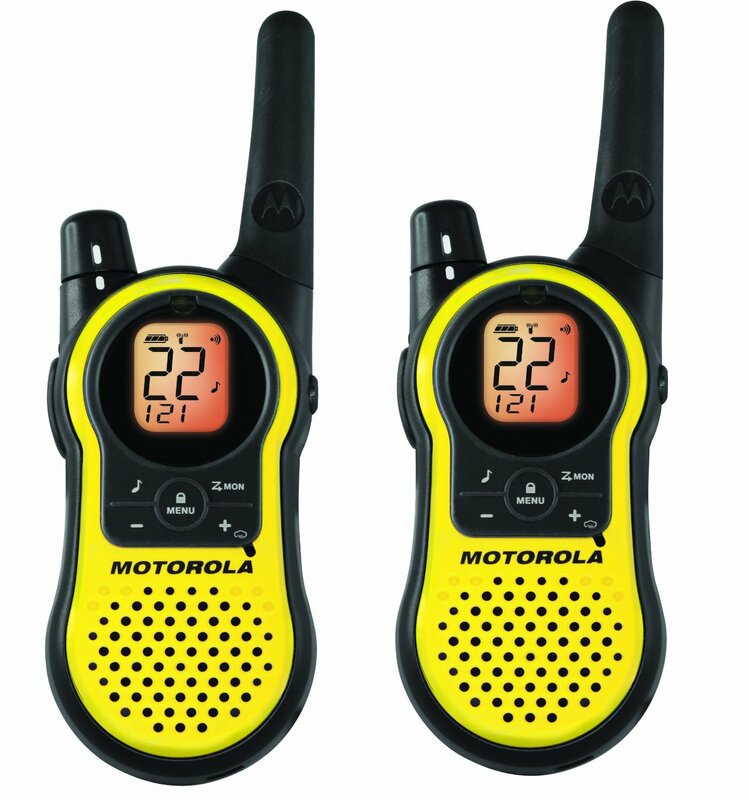 We encourage you to purchase FRS/GMRS (walkie talkie) radios and practice using them. Even better, consider getting your amateur radio license. This will allow you to communicate much greater distances. There are tons of resources for learning about radios and getting hands-on practice using them.